WHEN THE LEGEND BECOMES FACT, print the legend -- baseball edition. "... about America's other favorite pastime." 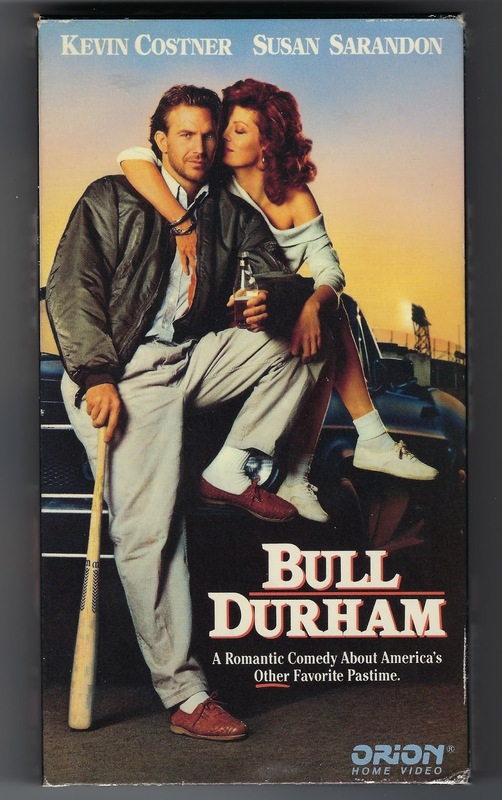 Bull Durham, a fictional story about the minor league Durham Bulls, opened in U.S. theaters 30 years ago this week and immediately took its place in the pantheon of great baseball movies alongside The Babe Ruth Story, Pride of the Yankees and The Natural. Within the next five years came Eight Men Out, Field of Dreams, Major League, A League of Their Own and The Sandlot. Baseball was boffo at the box office and Bull Durham led the charge. Directed by one-time minor leaguer Ron Shelton, the film got a great many things right about the low rent, high fun MiLB universe: its rites, rituals, goofy mascots and promotions and the fans who took their transient players to heart and sometimes to bed. In it Kevin Costner played Crash Davis, a career minor league slugger and sage acquired by the Bulls to tutor idiot bonus baby, pitcher Ebby Calvin "Nuke" LaLoosh, played by Tim Robbins. Susan Sarandon was their sensuous bohemian mutual love interest, Annie Savoy. Costing $7 million to make, it grossed more than $50 million at the box office and embedded itself in pop culture history. The movie's anniversary will be feted this season in diverse places such as Helena, Montana and Framingham, Massachusetts and at minor league ballparks in Fargo, North Dakota, St. Paul, Minnesota, Asheville, North Carolina and Woodbridge, Virginia. 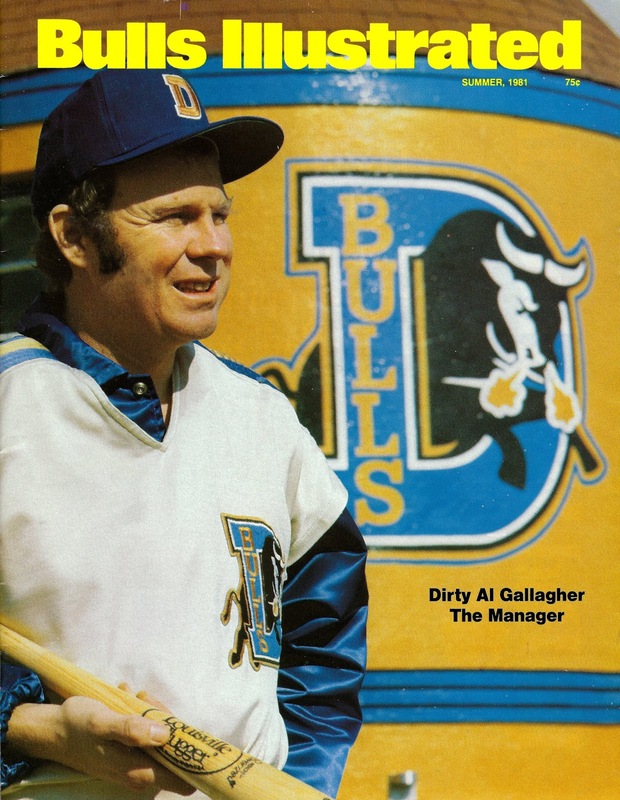 It's almost enough to make one forget the Durham Bulls were and are a real baseball team, one that existed long before the movie that made them so well known. Among their alumni, hall of famer Joe Morgan, sluggers Rusty Staub, Ken Singleton and Greg Luzinski plus 1972 National League Rookie of the Year Jon Matlack. But, nine years before the movie, they didn't exist at all. The Bulls, for all intents and purposes, had gone extinct after the 1971 season, having spent their last two years without a major league affiliation. Before that, they'd been the Carolina League farm club of the Philadelphia Phillies, New York Mets and Houston Colt 45's. Their once and future home, the Durham Athletic Park, had gone to seed. Enter entrepreneur Miles Wolff, a man who would go on to found and/or lead entire minor leagues. In the dilapidated DAP , he had a vision. It would ultimately entail sod, paint, elbow grease and a manager named Alan Mitchell Edward George Patrick Henry Gallagher, also known as Dirty Al. Resurrected for the 1980 season as a Class A affiliate of the Atlanta Braves, they took the field before 4,591 fans, wearing spandex uniforms designed by Universal Studios and boasting a roster studded with future big league players including Brett Butler, Gerald Perry, Milt Thompson, Albert Hall, Rick Behenna and Joe Cowley. Also present, a struggling 24-year-old catcher/first baseman named Brian Snitker, who would soon hang up his spikes and turn to coaching. In 2016 -- at the age of 61 -- he became the Braves' manager. The Bulls endured the theft of their home uniforms and their bus getting stuck in the mud, but ultimately drew 176,000 fans to the gussied up old ballpark built in 1926 and compiled an 84-56 record, good for a spot in the Carolina League championship series, which they lost to the Phillies' Peninsula Pilots, three games to none. The Bulls were boffo in Durham. 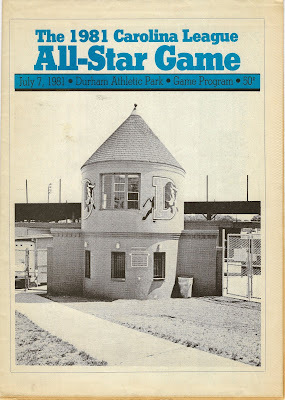 For their efforts, they were awarded the 1981 Carolina League All Star Game and more Braves prospects, among them pitcher Jeff Dedmon and outfielder Brad Komminsk, the fourth overall pick in the 1979 amateur draft. He would bat .322 that year with 33 homers and 104 runs batted in. He even swiped 35 bases. The prospects, courtesy of Chick-Fil-A. Despite his heroics, the Bulls slipped to fourth place in the composite standings and Dirty Al's second season at the helm in Durham would be his last, though he'd spend the better part of the next two decades managing minor league teams from Chattanooga to San Jose to Duluth to Kansas City. The Bulls' popularity would only grow. Wolff, in a 2017 interview, recounted his team's early support from former Universal Pictures president Thom Mount, a Durham native. Upon visiting the ballpark, Mount told Wolff, "some day we'll make a movie," a remark the entrepreneur said he'd dismissed as "Hollywood talk." Six years later, Mount dispatched Shelton to the Durham Athletic Park to soak up the atmosphere. "We were sure it was going to be a huge flop," Wolff said. It wasn't and ever since, the Bulls have been boffo everywhere. In 1990, they became the first Class A team to draw more than 300,000 fans in a season. Then Wolff cashed out, selling his team to the local Capitol Broadcasting Company. Five years later, the club moved into a new stadium, the 10,000-seat Durham Bulls Athletic Park. In 1998, they were elevated to the Triple-A International League as the top farm club of the then-expansion Tampa Bay Devil Rays. In a move that can only be described as life imitating art imitating life, on June 15, the Bulls will wear Bull Durham throw back jerseys for their own 30th Anniversary celebration of the movie they made possible, which in turn made them famous.